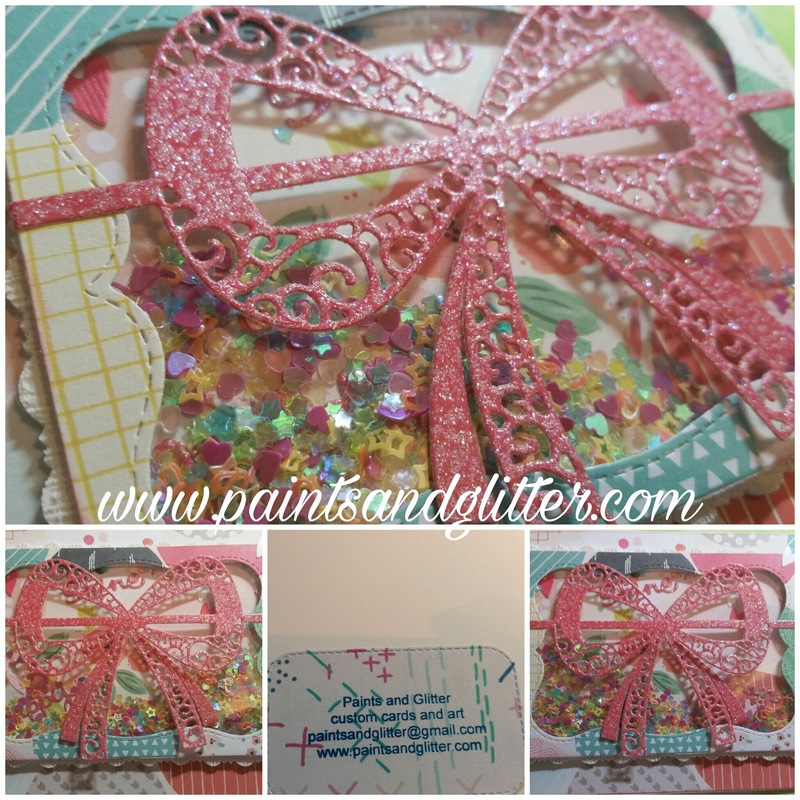 I used the Delicate Bow die from Crafter's Companion, and it suited my card perfectly! I used sentiment dies that I glued to the background, so if you take a closer peek, you will catch the words "Smile, Happy, and Fun" in the background. The rest is purely glimmer. Delicate Bow Die from the Downtown Abbey Collection. Paper : Pink Paislee,by Paige Evans. Provocraft Scalloped scissors for the border. 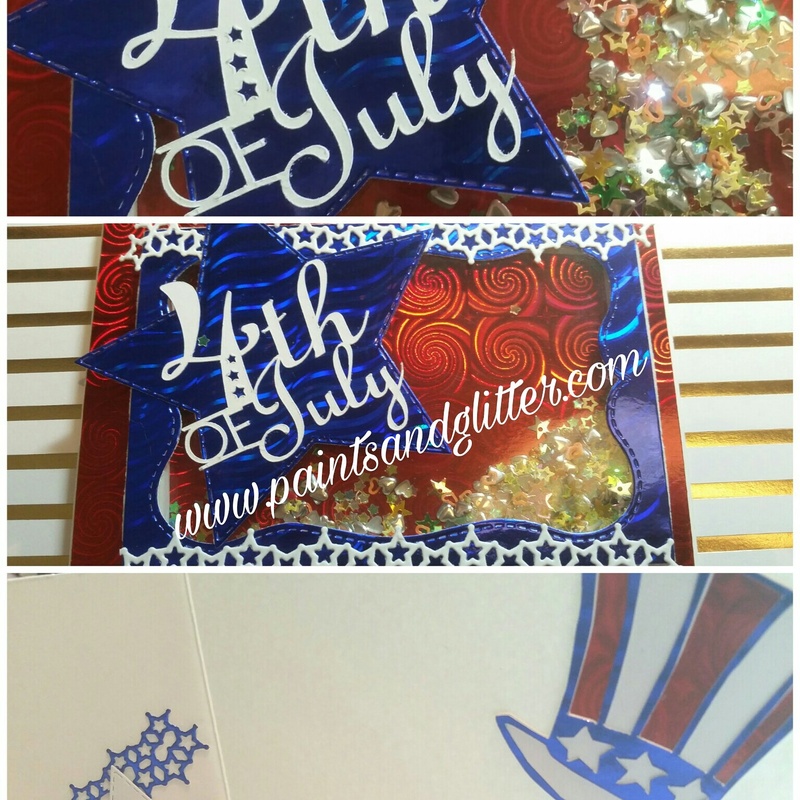 Here is another take on the same concept, just in time for the 4th of July!! For this awesome card, I got my son to play along. He did most of the assembly, and I helped with the more tedious parts. It shimmers beautifully in the light! Poster Board from the Dollar Store, in Blue and Red. I hope you give this style of card a try. With a little patience, the results are totally worth it!